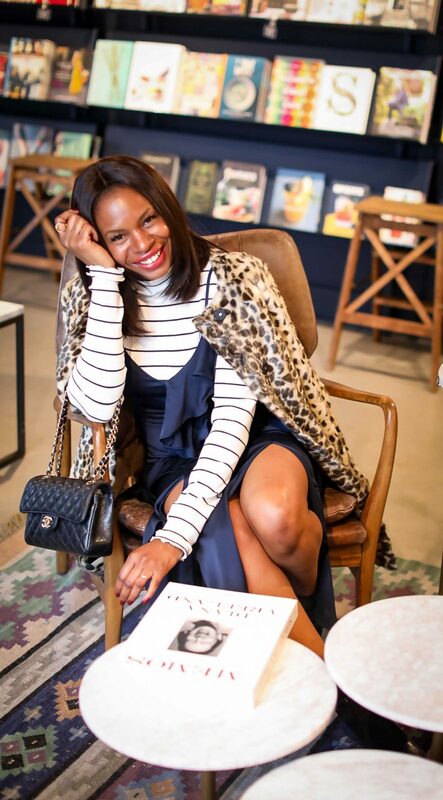 leopard coat worn with a slip dress and a stripe turtleneck top. I have to admit I was never a fan of leopard print. However I found myself constantly gravitating towards pieces that featured the print. 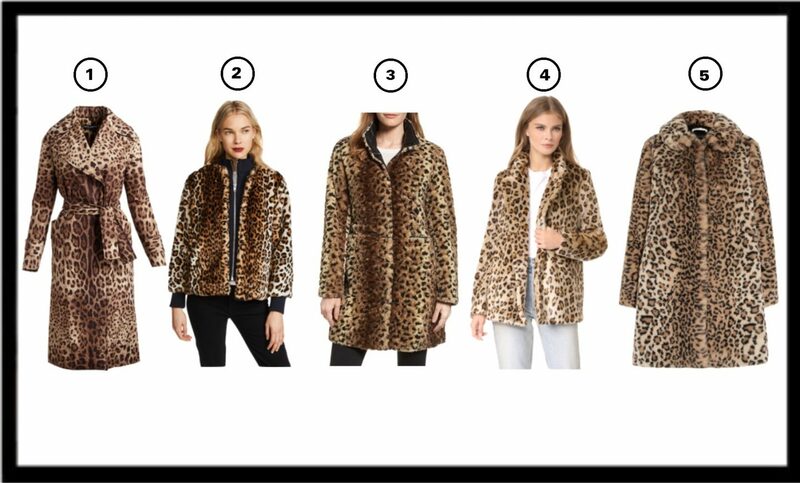 My leopard coat is one of my favorite pieces this season. It truly adds interest and style to every look I pair it with. In today’s outfit of the day, I matched it with a silk slip dress. 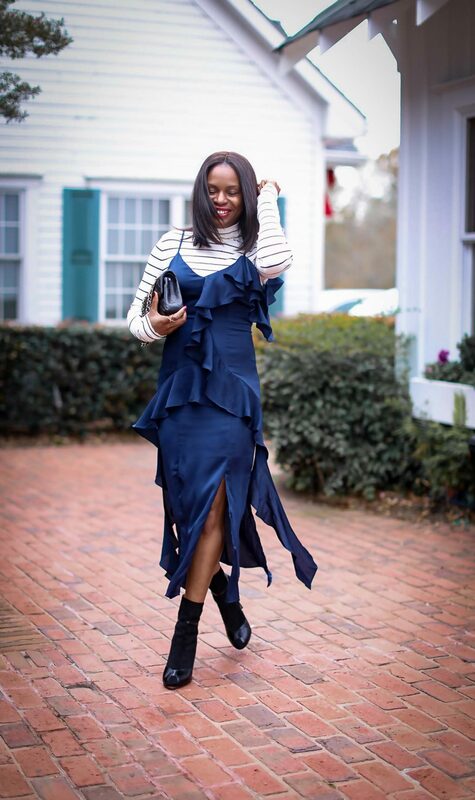 The dress is stunning and features ruffles and cut-outs. The silhouette of the dress screams summer, however the color is season appropriate. 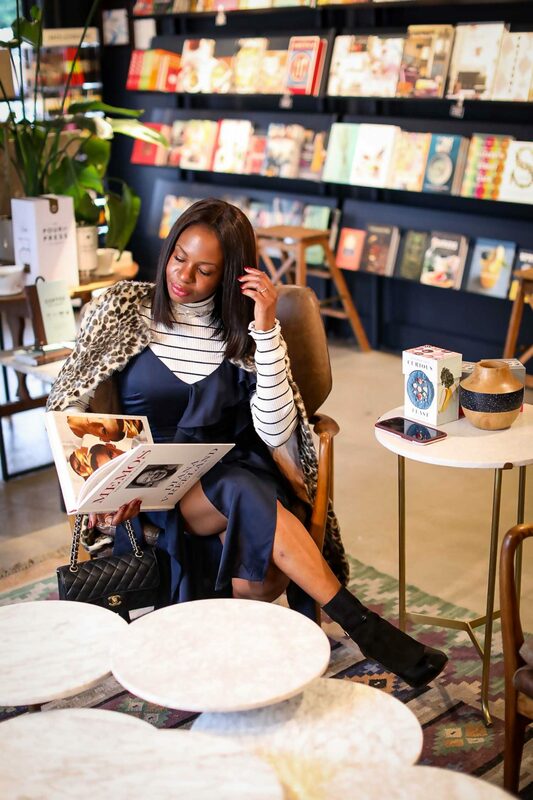 By layering the dress with a stripe turtle neck it makes the look winter relevant, and adds a modern appeal to the outfit. 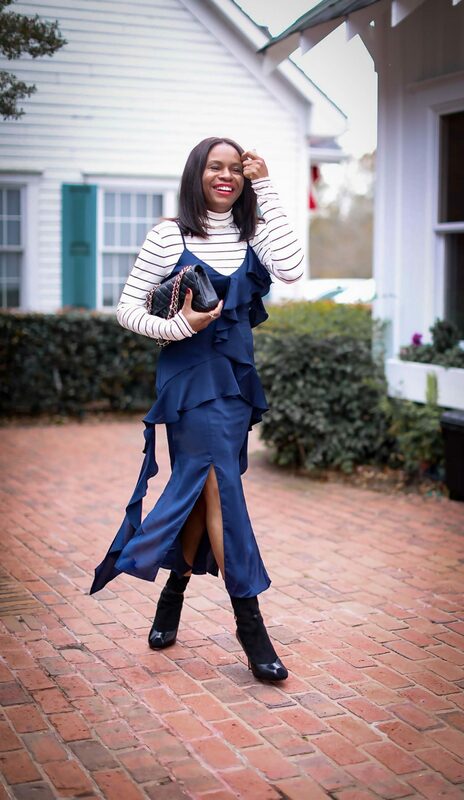 This look works because it is fun, stylish, and perfect for the winter fashion season.